Happy Monday! We have 3 more days until school is out for my daughter. I can't wait. First I want to shout out about Adventures in YA & Children's Publishing's celebration of reaching one million visitors. 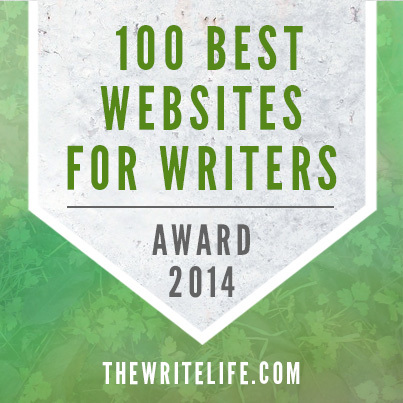 Martina and Jan have a fabulous blog for writers and I really recommend that you follow it. And they have a super mega giveaway to celebrate. And it includes a free weekend conference with presenters like Donald Maas. Go HERE to enter the contest. Next I have a winner to announce. The winner of THE SERPENT RING or TRICKSTER'S TOTEM is CAIT! Congrats! E-mail me your choice of book and your address so I can have it sent to you. Please e-mail me by the end of Wednesday or I'll have t pick another winner. Today I’m thrilled to have Dianne Salerni here to share about her new YA historical fiction novel, THE CAGED GRAVES, which was released May 14, 2013. 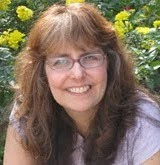 She’s also the author of WE HEAR THE DEAD, a historical novel filled with mystery, paranormal elements, and romance. 17-year-old Verity Boone expects a warm homecoming when she returns to Catawissa, Pennsylvania, in 1867, pledged to marry a man she has never met. Instead, she finds a father she barely knows and a future husband with whom she apparently has nothing in common. One truly horrifying surprise awaits her: the graves of her mother and aunt are enclosed in iron cages outside the local cemetery. Nobody in town will explain why, but Verity hears rumors of buried treasure and witchcraft. Perhaps the cages were built to keep grave robbers out . . . or to keep the women in. Determined to understand, Verity finds herself in a life-and-death struggle with people she trusted. Inspired by a pair of real caged graves in present-day Catawissa, this historical YA novel weaves mystery, romance, and action into a suspenseful drama with human greed and passion at its core. Hi Dianne. Thanks so much for joining us. I’ve always been a writer, even going back to before I could write. I used to draw the pictures and get somebody else to write the words for me. However, I never did anything with my writing besides share with family, friends, and later on, my students. When I was in high school, I submitted a couple stories to Isaac Asimov’s Science Fiction Magazine, but when they were rejected, I stopped submitting anywhere. It was my husband who took up the cause of getting my work published, and I credit him with giving me the push-start I needed. 2. Awesome how supportive your husband was. How did you come up with the idea for your story, especially the idea of the caged graves? I was researching ghost stories in the Pocono Mountain region of Pennsylvania for a short story when I came across a photograph of a caged grave. I was interested enough to track down the cemetery and was shocked to discover there were actually TWO caged graves there belonging to sisters-in-law who died within a couple days of one another. When I learned that not even the local historical society knew the story behind the graves, I decided I had free reign to write my own mystery. 3. That’s such a cool way to come up with a story idea. It always amazes me how some random discovery can lead to a story idea. Because your story is set in 1867, I imagine you had to pay attention to a lot of historical details, including even names like Verity. Share a bit about the research you did and tips for good places to research about a setting and historical facts. in the 1800s provided details on household chores, how a young woman would acquire a wedding dress, and verified that a town physician might also perform dentistry. Books with historical photographs purchased at tourist shops helped me visualize what the town of Catawissa might have looked like in the 1860s. But the internet held the most valuable treasure-trove of information, including census records, contemporary accounts and diaries, historical society records, articles from the popular Godey’s Lady’s Book, etc. As for Verity, she chose her own name, as most of my characters do. But that’s a whole ‘nother story, which gets me oddball looks from non-writers – but most fellow authors understand, right? 4. It sounds like you did a lot of research. I think those of us who don’t write historical fiction don’t realize all the research involved. I read you love writing in third person limited vs. first person POV. Yay! I love writing from this POV too. And you did a great job getting us into Verity’s head in THE CAGED GRAVES. What challenges did you have in developing her as a character through third person limited POV and what advice do you have for using third person limited POV? My first published book was written in first person, as was the next manuscript I wrote, the one with which I queried agents. Then I received a Revise & Resubmit from a prominent agent who suggested my story would be better told in close third person. After delaying and avoiding the task for a couple weeks, I tried re-writing the manuscript and discovered I loved this point of view! In fact, I’ve never gone back to first person. Even as a reader, I much prefer close third person to the popular and ubiquitous first person present tense. First person limits you to the inside of your character, while close third person gives you more flexibility, allowing you to move inside and outside the MC, sharing information he/she might not normally include in a first person narration. Yet because it is close third person, the narrative still strongly conveys the character’s voice and includes only what the MC knows, sees, and experiences. 5. That’s a great tip about physical description and not including too much. I know I always struggle to weave it in. Maybe I don’t have to worry about it as much. And I love third person limited POV for the reasons you mentioned. 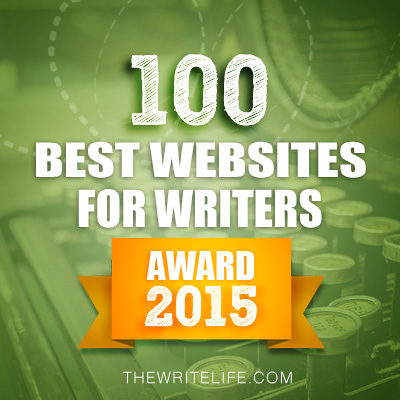 You’re one of my writing heroes because you write while working full-time as a teacher. I know you must have more time to focus in the summers but I’m guessing you have lots of writing work to do during the school year as well. What’s your writing schedule like and what advice do you have for the rest of us (that’s me!) juggling working full-time, a family, social networking, and writing? On weekdays, I get up early enough to spend a half hour blog-visiting over coffee before school. I often do a little more blogging in the afternoon when I come home from work, to wind down from the school day. Facebook and Twitter are also good for transitioning from work to writing. Most of the time, any serious writing I do will be in the evening and on weekends. I write and schedule my blog posts on the weekends, and I don’t post every day. Last fall, I cut back from three days a week to two days, and I expect I will stick to that schedule for now. I am lucky to have two very independent daughters and a supportive husband. They give me the time and space I need. My husband cooks dinners on most nights when he is not traveling, and if he is not home, my daughters will clean up the kitchen after I cook – and sometimes do the cooking themselves. 6. Sounds like your family is amazingly helpful. I have a hard time writing at night because I’ve got to cook dinner, clean the kitchen, make lunches, and walk my puppy. Then I’m too tired. Maybe I’ll enlist some family help this summer. Your agent is Sara Crowe. How did she become your agent and what was your road to publication like? After negotiating my first book contract on my own (and not knowing what I was doing), I realized I needed representation for future projects. I started querying the manuscript I mentioned above, receiving about 35 rejections and 2 R&Rs that did not result in an offer. However, I credit those R&Rs with helping me realize what the book really needed. By the time I queried Sara, I had a story she could fall in love with. That book went on a round of submission, but it was not the first book Sara sold for me – The Caged Graves was. And the the fourth book I sent to Sara landed me a 3 book deal with HarperCollins that made me extremely busy for the foreseeable future. 7. I’m so excited about your new project. I can’t wait to read it. I know there’s a movie of your prior book that was recently released. Tell us about how that happened. You know how Amazon “recommends” books to its customers? Well, good ol’ Ammie recommended my first book, We Hear the Dead, to an independent Hollywood producer who then inquired about the film rights. (I thought it was a scam email at first, but it wasn’t!) Filming began in November 2012 for a 10 minute short film titled The Spirit Game, which is set to premiere at the 2013 Cannes Film Festival. Additionally, the short film will be used to pitch a proposal for a cable television series. I have my fingers crossed that somebody will be interested, because the short film is incredible, and the Fox sisters, with their fraudulent séance business – and the one sister who might have real paranormal abilities – would make a great series! 8. That would be SO awesome if it became a TV series. Fingers tightly crossed for you in that. So this is your second book and you have another series coming out. What advice do you have for us aspiring authors on establishing a writer’s platform through social networking and marketing a book? I feel very strongly that if a writer wants to establish a platform and market through social networking, he or she has to make the SOCIAL part of the networking a priority. Be part of the community. Participate. Converse and socialize. Share and be generous with your time. Make friends. Turning your blog, Facebook page, or Twitter account into an advertising feed is NOT the way to be successful. 9. I really agree with you on that. Unless you’re really famous like JK Rowling, It’s really important to follow back and not just expect others to visit your blog or Facebook page. I see a lot of authors who have lost followers by not reciprocating. What are you working on now? I am currently preparing the fourth book I sent to my agent – and the second one she sold – for copy-editing at HarperCollins. The Eighth Day is the first in a MG fantasy series about a 13 year old boy who discovers a secret day between Wednesday and Thursday – and a mysterious girl who lives only on that hidden day. I am also revising a draft of the second book in the series, as well as planning the third book in the series – which needs to provide a satisfying ending while leaving the possibility open for future books if HC wants them. Thank you for having me today, Natalie! Dianne and her publisher Clarion have offered an ARC for a giveaway. To enter, all you need to do is be a follower (just click the follow button if you’re not a follower) and leave a comment by midnight on July 6th. I’ll announce the winner on July 8th. Tomorrow I have a Tuesday tip by Elizabeth Alton on maximizing your conference and convention experience. She’s a freelance writer whose work has been published by been published by The Huffington Post and USA Today. On Wednesday, I’m interviewing Marissa Burt and giving away a signed copy of STORY’S END, the second book in her middle grade fantasy series. I loved that Una goes into the world of Story, where fairytales are created. And it’s a fast paced story filled with escalating problems for Una and her friends. Marissa does a good jog explaining things so you’d understand the story even if you hadn’t read the first book. Next Monday, I’ll be interviewing Elana Johnson about her new book, ABANDON, the final book in her series. Elana totally blew me away by telling this story from Jag’s and Zenn’s point of view. I can’t believe I love it as much as SURRENDER, the second book in the series, which is one of the best sequels I’ve read. 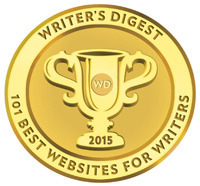 Elana is going to share her reflections on her first three years as a published author. And her publisher, Simon Pulse, has donated a copy of POSSESSION, SURRENDER, and ABANDON for a giveaway. Next Tuesday, I have a Tuesday tip from Rosanne Perry and giveaway of her new book, WRITTEN IN STONE, a story about the Native American tribes in the Pacific Northwest in the 1920’s. She’ll be sharing tips on how to write a multicultural story. Then I’m on a vacation and blog break until July 8th. I’m excited to go to my nephew’s wedding. I’ve known him since he was a baby. I’ll be blogging a little bit less over the summer. I know it gets quieter in the blog world during the summer as people spend more time with their families and go on vacations. I’m looking forward to slowing down a bit too and hopefully writing more. But I have a lot of good things planned for the summer, starting with an interview on July 8th with debut author Melanie Crowder and ARC giveaway of PARCHED, a middle grade apocalyptic novel about a world with hardly any water with a touch of magical realism. I found the whole idea of such a world fascinating. Close third is my preference for writing, too. Though, my current wip is in first. Every now and again a first pov pops up (it's so strong that I haven't slipped back into third at all, which is how I know it's right) but my heart belongs to close third. Congrats on the book Dianne! It sounds like a great read. I have been sooooo looking forward to this book! Thank you for the giveaway! ^.^! Same here about the close third. My first book, A Change of Plans, is in first, but all my other books are close third. I've got my copy of Caged Graves, and it's on my summer reading list. Dianne put her definition of social into practice. She was so helpful to me when I was struggling online with my query, and it was her help that got me the finished version. Thanks again, Dianne! Sounds like an awesome book. Loved the interview!! Great interview! I so agree on the physical description--I see it overdone so often, and it really isn't necessary most of the time...takes away from the actual story. I'm about 50 pages in The Caged Graves right now and loving it! I didn't realize Caged Graves was the first book Sara sold. Dianne is the best! The Caged Graves sounds phenomenal too. I mean what an incredible (true) premise. I absolutely love historical fiction, and this one sounds like a winner. Thanks for the cool interview. I'm right there with you both on close third person POV. First person is awesome, but third gives you so much more maneuverability. I've heard about caged graves and this book sounds fascinating! The interview was very interesting. Have a wonderful summer. It's a perfect time for weddings and fun getaways. I got the opposite R&R for my novel. From close 3rd to first. It's a lot of work, but I'm quite amazed how the feel of the story changes with POV. Great interview! I love historical fiction--especially when it has supernatural elements. And I totally agree with you about the physical descriptions. The mystery of the caged graves is fascinating. I'm also very intrigued by the short film, The Spirit Game. Congrats on your hard-earned success! Great interview! I love Dianne. She's such a giving writer. And she does SO much. I'm impressed with her ability to organize her time so well. I can't wait for The 8th Day. The Caged Graves is on my TBR. 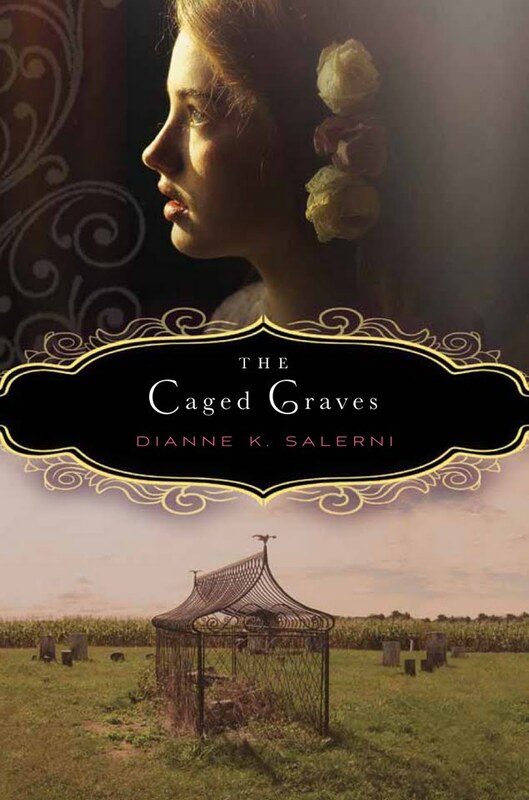 Great interview Dianne and Natalie!The Caged Graves sounds very interesting. You really get a lot done, Dianne. I'm just now trying to figure out how to juggle a full time job and writing, so you're an inspiration. Wonderful interview. Book sounds wonderful! Thanks for the interview and giveaway! The premise for this book sounds so interesting! Thanks for the amazing shout-out and for being part of our celebration! You and Casey have been such a huge influence in the online writing community, and I'm not in the least surprised to hear you suggest that authors reach out online. I can't think of anyone who reaches out to support others more than you do. I loved the interview. Third person close POV is a favorite of mine, and I see the same kind of misconceptions about it quite often in the First Five Pages workshops. 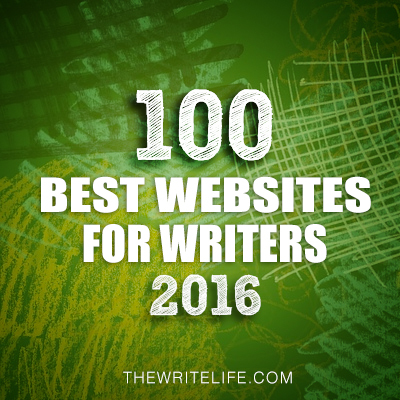 Dianne did a great job explaining it and, hopefully, adding it to the toolbox for a lot of writers through this post. Her movie and TV news is awesome too! Natalie, Thanks for the chance to be interviewed -- and for providing the giveaway. One thing I'd like to add about 3rd person and misconceptions. I didn't mention that when I got that R&R about changing POV, I cried for a week and couldn't sleep at night. I thought I would be losing the character's voice, practically killing her! I didn't. Close third person POV contains VOICE too. But instead of having the MC talk directly to you, it's like you're listening in telepathically. That's the best I can describe it. Loved the interview and what an intriguing true concept on covered graves. I want to win this book. I'm so excited for Dianne. I hope she sells A LOT of books. Honestly, the premise ABSOLUTELY hooked me. Now I am just itching to get my hands on this book. I love the sinister and this sounds like it fits the bill. So cool to find out more about your projects. I am SOOOO happy and excited for you. I really enjoyed The Caged Graves and will look forward to reading more your novels. Since I write M/G and Y/A it will be fun to see how you write in another genre. Natalie, as you know I have a lovely copy of Dianne's book, so please take me out of this contest. Wow! Totally hooked on the premise and can't wait to read it. I want to also read more about close third person. Natalie - this is a great interview, as always, you know how to ask great questions and give some good feedback. I always feel like I'm right there on the conversation with a couple of friends at a coffee shop. Dianne - Wow! Finding those caged graves and then imagining a story from there sounds like an exciting writing journey. I have to admit I'm not a huge "scary book" reader, but this story sounds fascinating. I'm going to add it to my goodreads "want to read" list. Wonderful interview. I think it's awesome that the book was inspired by real caged graves. I hope you have fun at your nephew's wedding, Natalie. Enjoy the "lazy" days of summer! Caged Graves sounds like tremendous fun and We Hear the Dead has been near the top of my "To Read" list since I saw it on goodreads. Enjoyed the interview (and would love a copy of the book). Enjoyed the interview (although I've had the pleasure of meeting Dianne in person several times and going to her book launches)! I also prefer writing in close 3rd person POV. What you may not have known is how generous Dianne is with what little spare time she has. She beta read my novel when I was struggling with plot holes, and she made the perfect suggestions for fixing the problems. Please don't include me in your giveaway, Natalie. I have a signed hardcover of this wonderful book! Caged Graves has a intriguing sound to it. Love the cover. I've included this on my blog. Caged Graves sounds great. Put me in the hat for the drawing. All best with the book, Dianne. That was an awesome interview, full of such good advice and positive stories! 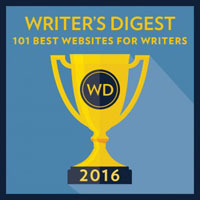 I want to bookmark it to read again fro some of the writing advice. Congrats on all the books coming, Dianne!